At Crutchfield Dermatology we provide vitiligo treatments for the discoloration of skin that occurs in people suffering from the Vitiligo disease. Skin pigmentation loss can be helped and in many cases evened out to be less noticeable. We provide a personalized approach of treatments for vilitigo, hyperpigmentation (sometimes spelt hypopigmentation). Pigmentation loss can make a big difference in how a person feels about themselves and their daily interactions with others. Take a look at our before and after vitiligo pictures from past patients. Vitiligo Before & After Photos! About 1 to 2 percent of the world's population, or 40 to 50 million people, have vitiligo. In the United States, 2 to 5 million people have the disorder. Ninety-five percent of people who have vitiligo develop it before their 40th birthday. The disorder affects individuals of all ethnic origins and both sexes. Loss of pigment most commonly is noted first on the hands, feet, arms, face or lips. Frequently this disease is progressive. The primary goal of therapy is to restore the skin's color by restoring melanocytes to the skin. Repigmentation of the skin with melanocytes allows the skin to regain its normal immune/inflammatory functions and improves the appearance of those suffering from this disease. At Crutchfield Dermatology we take a great deal of pride in our very effective vitiligo treatments. 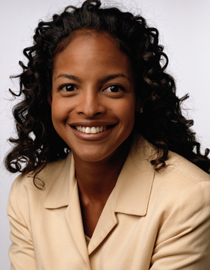 Dr. Crutchfield is a board certified dermatologist, graduate of the Mayo Clinic Medical School (1994) and a Clinical Associate Professor of Dermatology at the University of Minnesota, who has extensive training in the treatment of vitiligo including topical medications and phototherapeutic measures (narrow band-UVB). At Crutchfield Dermatology, we also have the most active phototherapy center for the treatment of vitiligo in the state of Minnesota, employing both full body narrow band-UVB National Biological Corporation units. Dr. Crutchfield will carefully evaluate your condition and design a custom vitiligo treatment program that is just right for you.. Most of our patients see improvement in 1-2 months after beginning therapy. Charles E. Crutchfield III, M.D. is a graduate of the Mayo Clinic Medical School and a Clinical Professor of Dermatology at the University of Minnesota Medical School. Dr. Crutchfield is an annual selection in the "Top Doctors" issue of Mpls. St. Paul magazine. He is the only dermatologist to have been selected as a "Best Doctor for Women" by Minnesota Monthly magazine since the inception of the survey. Dr. Crutchfield has been selected as one of the "Best Doctors in America," an honor awarded to only 4% of all practicing physicians. Dr. Charles Crutchfield III, a leading Twin Cities Dermatologist, offers Platelet Rich Plasma (PRP) Therapy for hair loss or thinning hair, especially male and female pattern hair loss commonly termed androgenetic hair loss. I have suffered with vitiligo for several years. Every doctor I visited essentially said that there wasn't much that could be done. I was 'surfing the internet' and came across your website. The vitiligo page looked very interesting so I made an appointment for a consultation. You were informative and honest, indicating that, using a combination of narrow-band UVB phototherapy and other topical treatments, about 75% of patients see improvement. Well, I was in the lucky group who improved! After just 12 light treatments I started seeing color return and after 38 treatments, my condition had almost completely resolved! It's like a mini-miracle! Thank you, thank you, thank you, Dr. Crutchfield". Our little guy had white spots all over his skin and we didn't know what they were. It started around age two. Then he broke his leg and it got worse. We had our physician get in contact with Dr. Crutchfield and he said it was vitiligo. He said we could do topical and light treatments, but we live way down in southwest Minnesota and it would have been hard to get to his clinic. He was so gracious and allowed us to see if we could find anything closer, and we found a place where we could do that and we had great results. He was just amazing dealing with our doctor, and amazing dealing with our son as a little guy, explaining everything to him. We were very thankful because no one else could really help us. Thanks so much for the info on Vitiligo in your newsletter. My son has been going to light therapy treatments 3 x/week for close to a year and a half. It's amazing what a difference it has made both physically and emotionally for him. I appreciate the info your newsletter provides. I have seen Dr. Crutchfield throughout the years for various cosmetic reasons, but I also have a skin condition called vitiligo where the skin starts to depigment. I'm a caucasian female, but it has been getting progressively worse, and I was mostly concerned about its presence on my face. We started a course of topical steroids and I have been going three times a week for photo light therapy, and now I'm down to two times a week. I am just absolutely delighted with the outcome so far. My friends and family have all remarked on how fabulous my skin looks. I am just thrilled - it really has worked for me.